This is an outfit I wore recently that I realized was a great winter-to-spring transition look. I've worn this top, jeans and booties together all fall and winter, but by simply swapping out some accessories I was able to update my look for spring! Gorgeous as always!!! 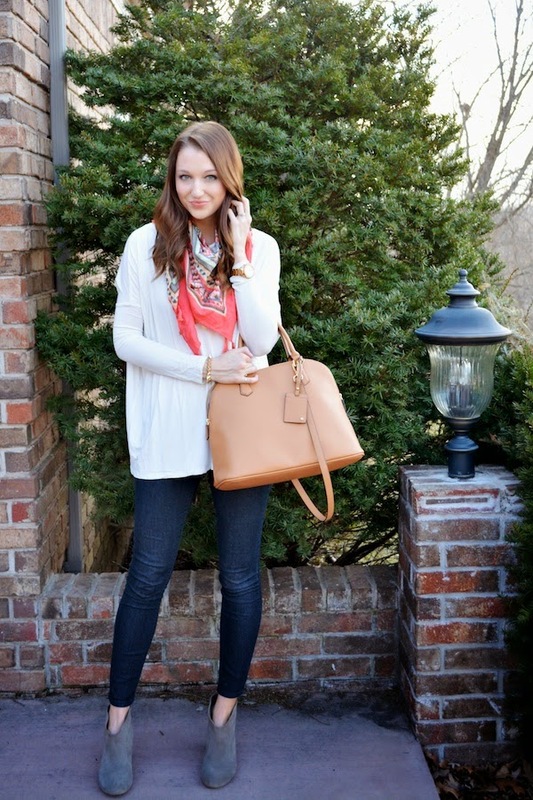 Love those booties and scarf!! Cute look girly! I love it! The scarf is the perfect touch. What a beautiful color. I'm glad you got to spend some time with Trey. You two are so cute together. This outfit is gorgeous! Love your style! I love the drapey style of your top! I'm going to have to check out Piko. Love your bag too- I saw it in store last week, so cute! I love your scarf. I think its great that you paired it with such a simple outfit, so the scarf colors really stand out. Great look! 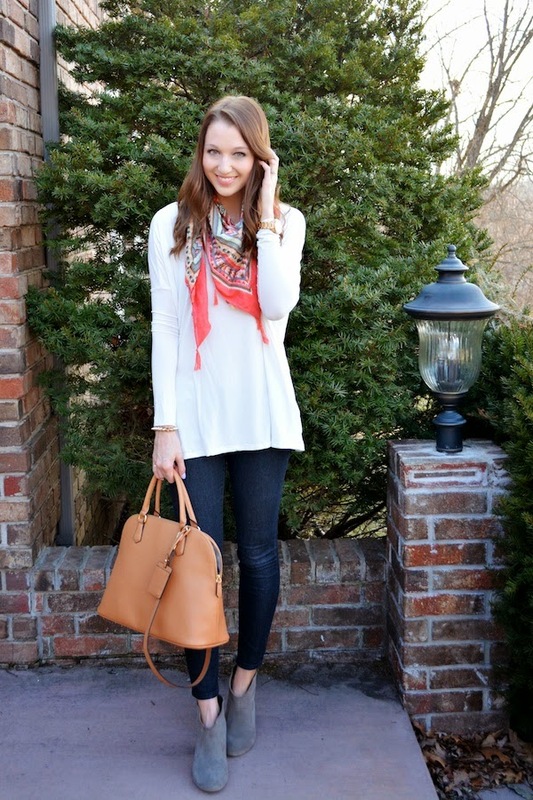 Such a great look and perfect for this transitional time of year! 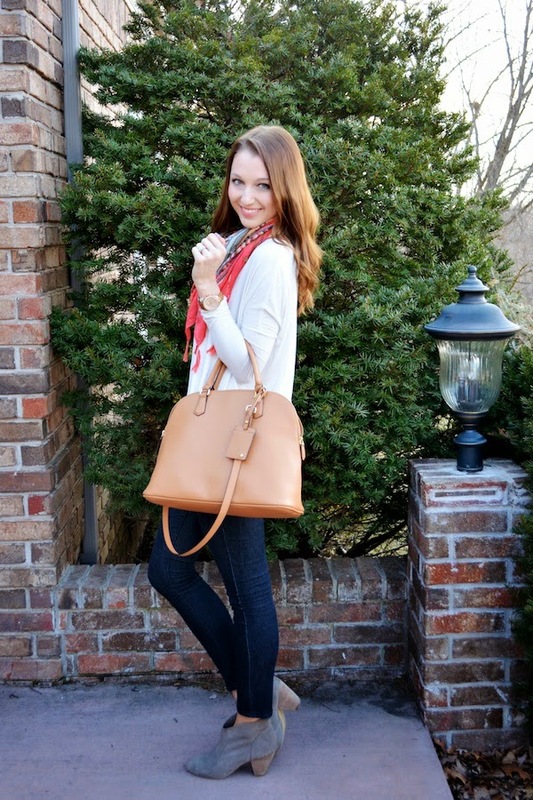 You pull of the booties and jeans like no one else girl! Super cute!! 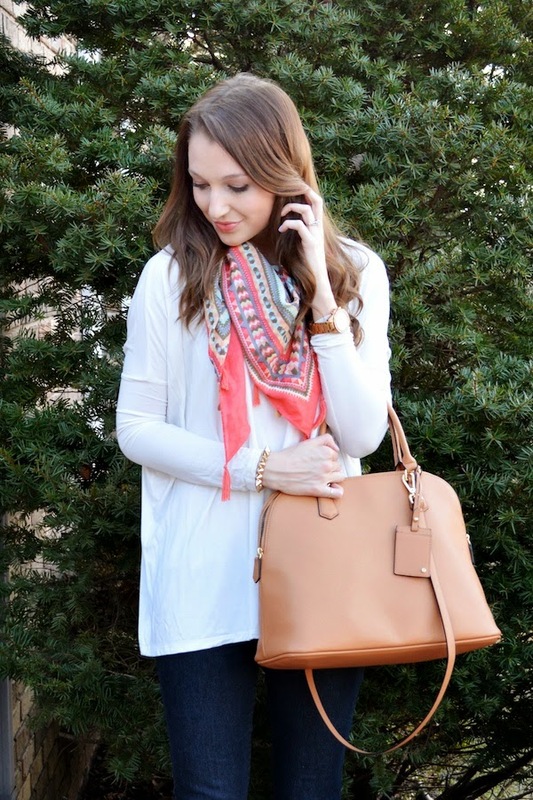 Love the color of your scarf! So perfect for Spring! Those heels are amazing!! You are always so casual chic perfection. I LOVE it!